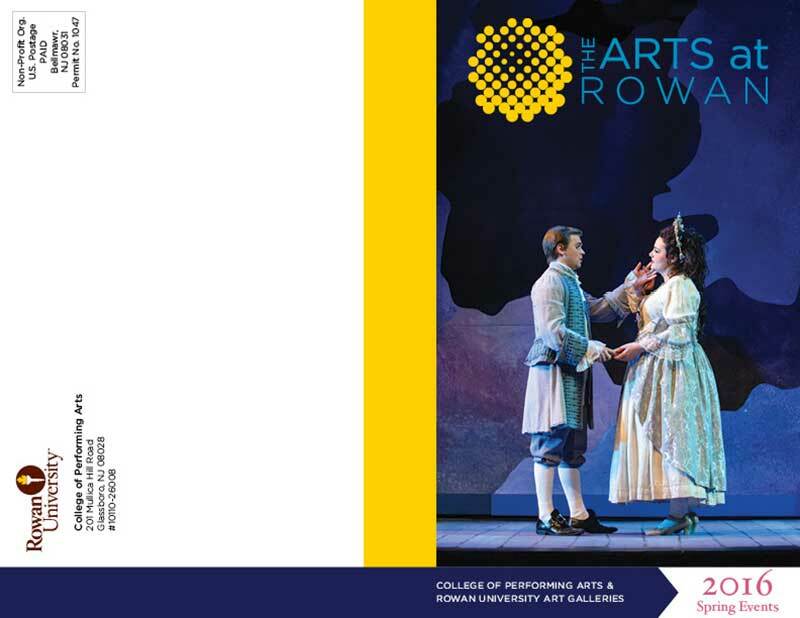 Rowan University’s Performing Arts brochure is a 12 page, four color, self mail publication featuring the arts at Rowan in a calander sequence. 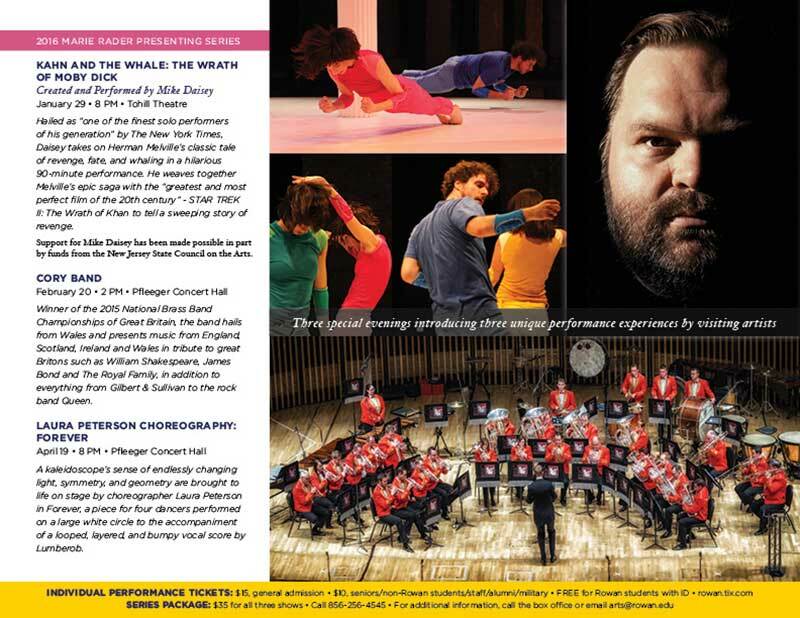 The printed piece is 5.5 x 8.5 inches folded. 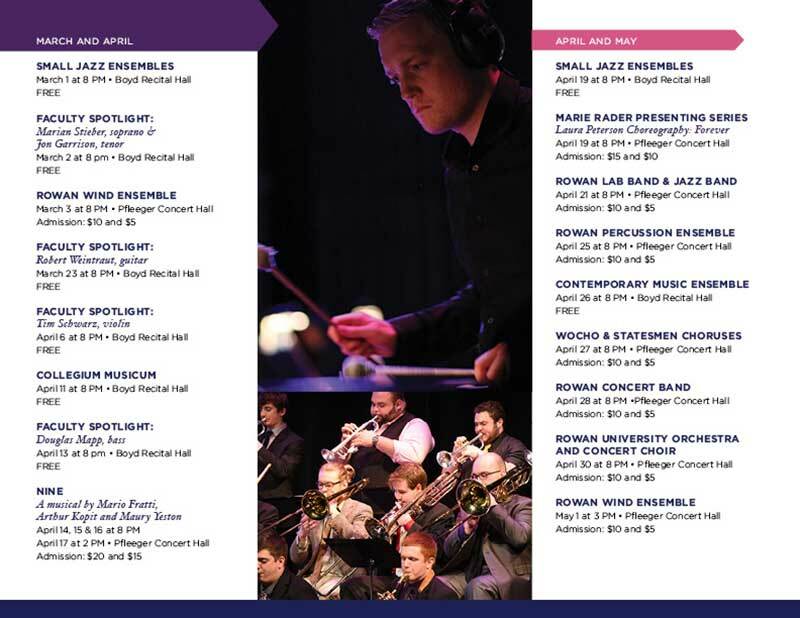 idesign communications produced the fall and spring brochures for the 2015-2016 school year for the College of Performing Arts.